MANILA, Philippines - The official results of the 2016 Principals' Test are now out online, after 5 months or on Tuesday, September 12, 2017. Only 388 successfully hurdled the examinations, DepEd Memorandum 145, s. 2017 stated. DepEd together with the Bureau of Human Resource and Organizational Development (BHROD) issued a memorandum for the results of the 2016 Principals' Test conducted on April 9, 2017. As indicated, takers must have obtained at least 70% correct answers in all domains. Paragraph No. 7 of DepEd Memorandum No. 80 s. 2016 reiterates that: "Beginning 2018, Principals' Test applicants shall only be allowed to take the examination for three consecutive times. Applicants who did not pass consecutively in the years 2015, 2016 and 2018 shall undergo a specialized preparatory course before they will be allowed to apply again. As advised, the list shall be available on the DepEd website: www.deped.gov.ph and BHROD Facebook page. Note that the individual Certificate of Rating (COR) of all the takers will be forwarded to the Regional Offices c/o their respective Quality Assurance Division. DepEd said that the Department shall not entertain request for the rechecking of examination papers and appeal for the claibration of scores. For queries and official scores, please coordinate with your respective Regional Testing Coordinators. Those who are interested to take the 2017 Principals' Test, an announcement will be posted soon. 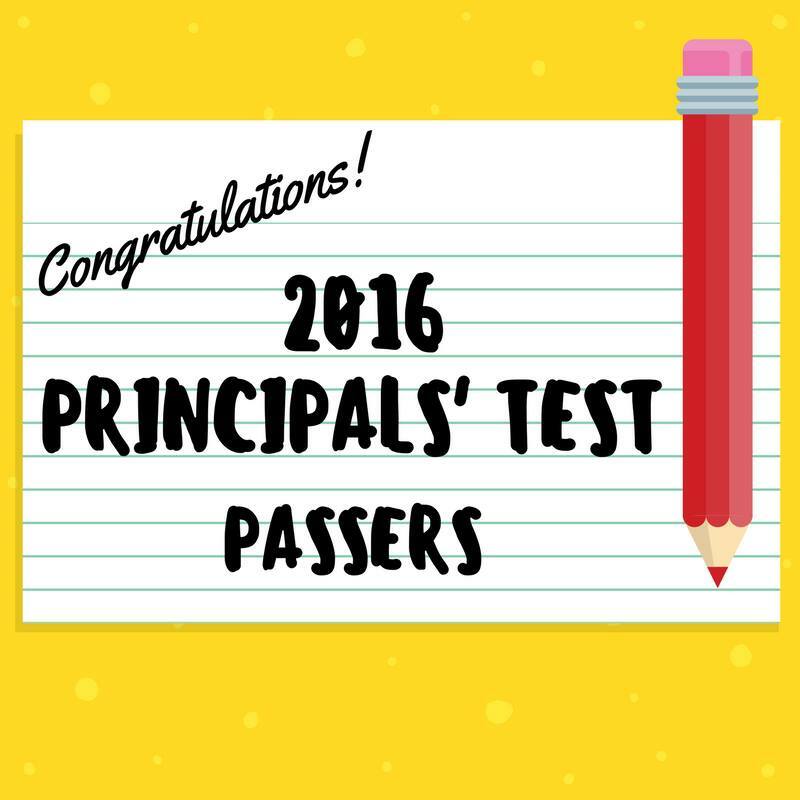 Congratulations to 2016 Principals' Test passers!